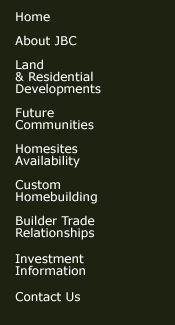 About JBC Custom Home Builders and Development Residential Real Estate Development Westchester County NY and Putnam County NY - Custom Home builders and Westchester Real Estate Development Westchester County NY and Putnam County NY. JBC Developers is a Westchester Real Estate development group in NY specializing in land development and quality custom homes. JBC Development, LLC is both a strategic and very centralized investment and development company with its primary concentration on high quality real estate assets located in premier markets. With nearly 20 years in the real estate business, JBC has experienced, endured and prospered through several cycles, having been involved with the management and development of apartment building properties, residential & commercial development and land representing an aggregate of well over $150 million in real estate value. JBC is recognized for its systematic, thorough and hands on approach to its business dealings and its positive philosophy of making dreams come true. Today, the environment is so important. That is why we strive to adhere to many of the Green Building Practices that are implemented today. On all our developments our goal is to minimize the impact and disturbance while improving the function of the ecosystems during and after construction. Affiliations with National Association of Home Builders (NAHB), New York State Builder’s Association (NYSBA) and the Builder’s Association of the Hudson Valley (BAHV) are among several of the organizations available to Builders and Developers. Apple Mill Homes Estates, North Salem, NY - Apple Mill Estates located in North Salem, NY, Westchester County was developed and sold out in the late 90’s as an enclave of 12 private homesites all on magnificent 5 acre wooded sites. Situated within minutes to I-684 the proximity of this location is well suited for families who desire easy access to Southern Westchester, NYC, Putnam & Dutchess Counties and Connecticut. Settled in 1731, North Salem is known for its excellent schools, apple farms and beautiful horse country. North Salem as is most other towns has seen significant amounts of growth and development. However, North Salem is still acknowledged as one of the most tranquil, beautiful and underdeveloped areas in N.Y. city’s metropolitan area. Open fields, rugged hills surrounding the Titicus Reservoir, horseback riding, apple orchards, Delancey Town Hall, a 18 th century Georgian Manor (Nat’l Register of Historic Places) and the 60-ton granite glacial boulder are among a few of the many wonderful attractions in this area. Home prices currently range from $1,000,000 -$2,000,000. Country Homes Estates, Mahopac NY - Developed as a 14 lot subdivision located on a quiet new cul-de-sac in the mid 90’s, wooded homesites ranged in size from 1.6 to 5.3 acres. Here buyer’s had the choice of either acquiring the homesite only or purchasing a completed new home from JBC. New homes ranged in prices from $400,000-$500,000. Home sizes varied from 2,800 to 3,300 square feet. Resales are currently priced in the $700,000-$800,000 range. Hillcrest Estates, Lake Mahopac, NY - Elegant three lot subdivision with stone pillared entrance. Situated on nearly 16 acres of high, private, wooded, estate like property with panoramic views of the surrounding hillside and Lake Mahopac. All with in walking distance from the beach and deeded Lake rights. Custom gourmet kitchen with stainless steel appliances and granite countertops. The upstairs master suite has a fabulous elegant bath and huge walk in closet. Four additional generous bedrooms share two full baths. Extensive use of granite, tumbled marble, and many other features throughout. Each home features: Gracious 2 story entrance, 9 foot ceilings, central air, hydo-air heat, central vacuum, hardwood floors, raised hearth fireplace, extensive use of crown moldings, recessed lighting, bluestone walkway and structured wiring for the latest in technology. Millstream Estates, Pawling, NY - In 1999 JBC Development, LLC continued its vision of development north of Westchester County. The continuation of escalating land prices has forced the developer interested in providing a certain quality of living to the broader market to move north. Millstream Estates, an enclave of 15 new homes developed and built by JBC Development, LLC is located in Pawling, NY. Homesites range from 1 to 4.5 acres. These homes which are nicely appointed are approximately 2600 to 3000 square feet and ranged in price from $350,000-$450,000. Lots Available Hillcrest Estates, Mahopac, NY - Last lot in luxury 3 lot subdivision. Large 6.43 acre lot with magnificent views of Lake Mahopac approved and ready to go for a 5 bedroom home. Builder Trade Relationships - As a Home Builder and Land Developer, JBC Development understands the importance of teaming up with the right trades to create the perfect product for his clients. Interested in a custom home - In the event you wish to build a custom home on your own parcel JBC will from inception handle all approvals, develop the parcel and build your custom home. 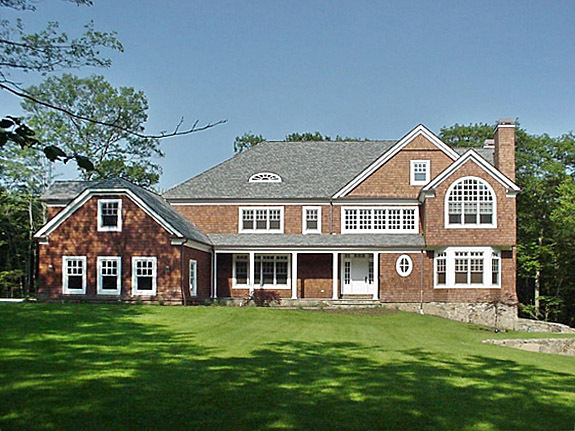 Contact Us - Looking for quality westchester county real estate and Putnam County Real Estate? Whether it is land or a custom home, contact JBC Development.